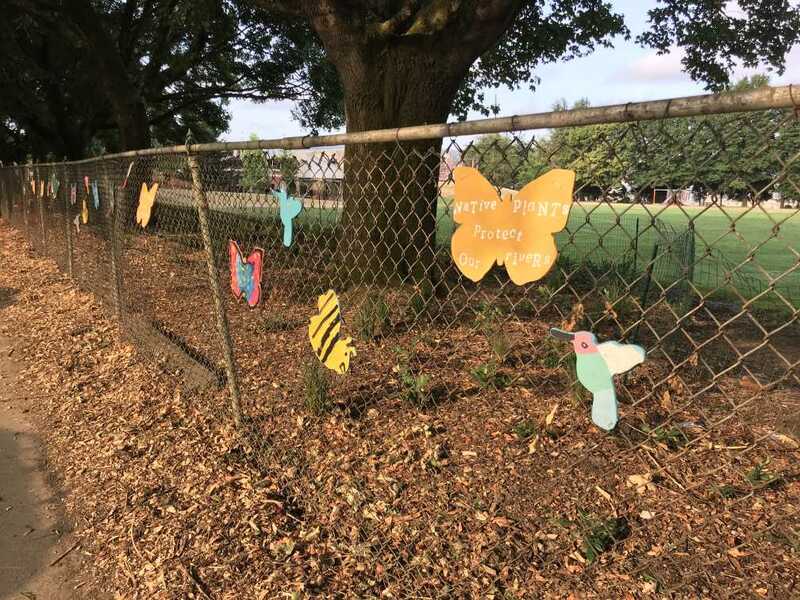 Colorful pollinators with watershed health messages flank the fence along N Flint Avenue showcasing the new nature patch in Lillis-Albina Park. New neighbors are sprouting up in the Eliot neighborhood, although not of the human variety. These neighborhood additions are green. They attract butterflies, bees, and birds, and help keep our rivers clean.